First time I met Painter, he was in Assembly Hall and wearing red sweat pants. It was an unusual look for a kid who had just committed to Purdue. He was playing for Tim Knight's AAU team at the time, and had grown up an IU fan, so it wasn't surprising he had some leftover IU gear. It worked out well for him not to go there, however. 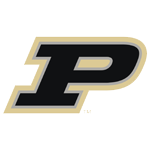 He played more at Purdue than he would have at IU, and wound up Purdue's head coach. He's honest by nature, so he doesn't mind talking about that sort of thing. Painter's is your classic story of an Indiana kid who grows up playing the game, falling in love, and going on to play and coach. He wasn't athletic enough to be a standout player in college, but skilled and smart enough to have a decent career. He's one of those rare people who downplays his talent, rather than exaggerating it. He's constantly poking fun at himself. 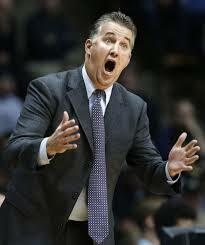 He once told me, for example, that he was signed by Purdue to give Tony Jones confidence. Meaning, Tony Jones (a senior when Painter was a freshman) dominated him so badly in practice that it couldn't help but make Jones feel good about his game. The story of Painter's humble beginnings as a coach and his path to Purdue is a really good one, and is typical for the majority of coaches who make it big. It doesn't often happen overnight unless you were an NBA player or had a fortunate connection and timing. We had this conversation in his office at Mackey Arena, during the early stages of the building's major rebuilding project. If you hear the sounds of construction in the background, that's why.